As with all our visitors, they are handed whites, a hat and a shovel and set to work! 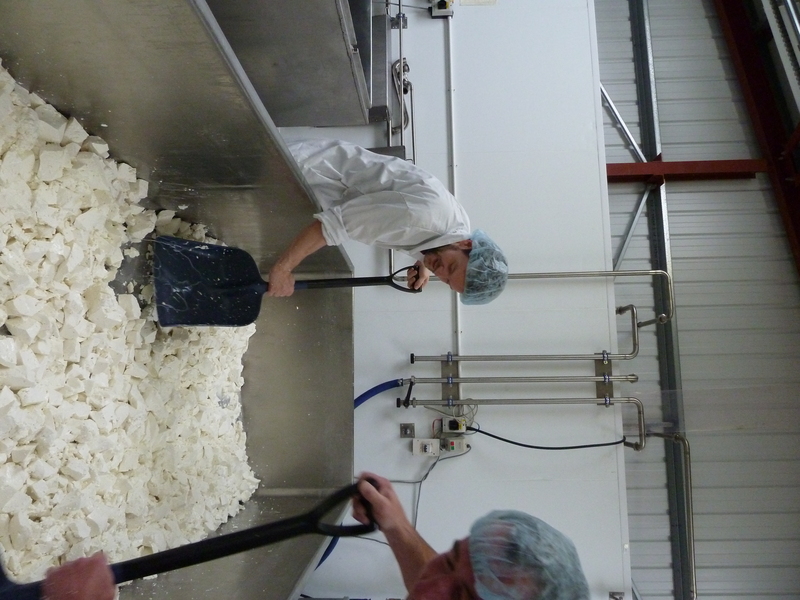 Here is Julian helping Stu shovel the large vat with about 150kgs of curd from 1,600 litres of goat milk in this picture. 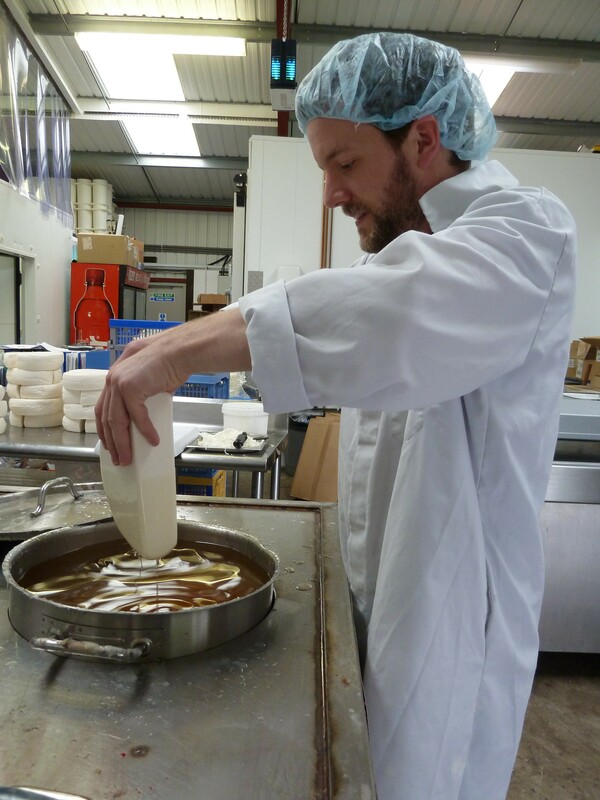 Not content with telling Julian about cheese making and describing the various stages, we also showed him how to hand wax cheese. We enjoyed having you here, with us, Julian and we all wish you the very best with your new venture in York. And yes, you can certainly have some of the batch that you helped to make for your shop! If anyone reading this wants to know where to buy some fabulous cheese in York, look out for Merrit’s of York!